"From the first look we can see how pleasant the Persian rug's field is surrounded by its borders. 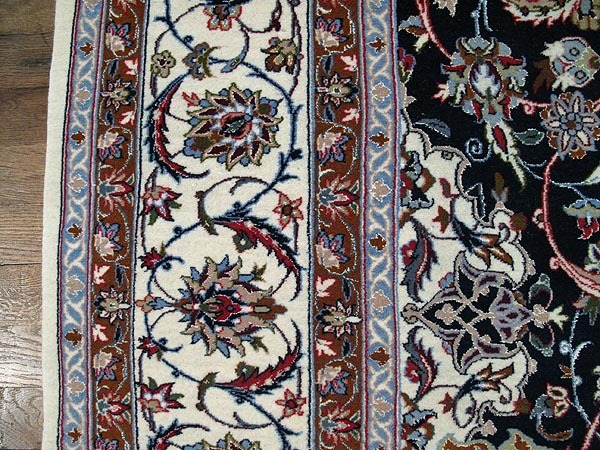 The inner and outer borders are doubled and painted in dark red and light blue perfectly matching the ivory main border. 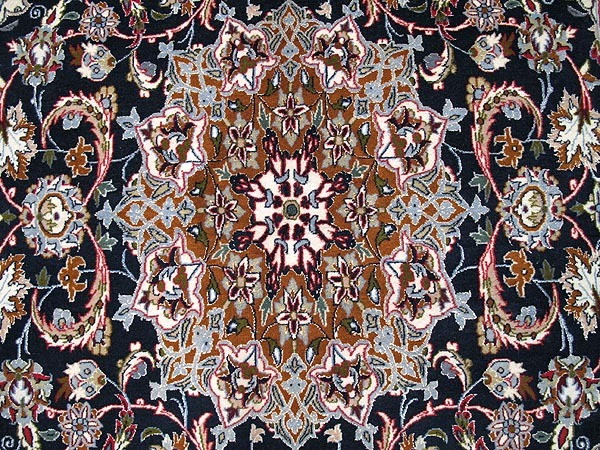 The medallion combines other great colors like brown, ivory and gray. 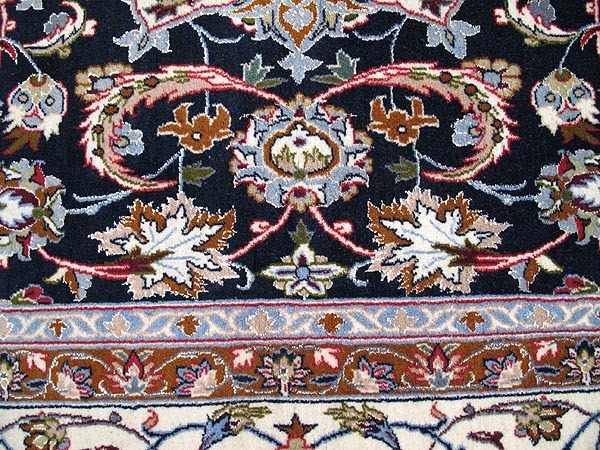 The field's navy background is brightened by lotus, pomegranate and lotus flowers and by the richly applied leaves ornaments. 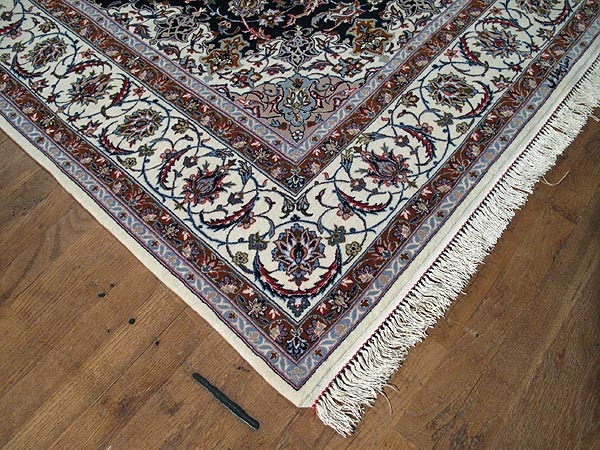 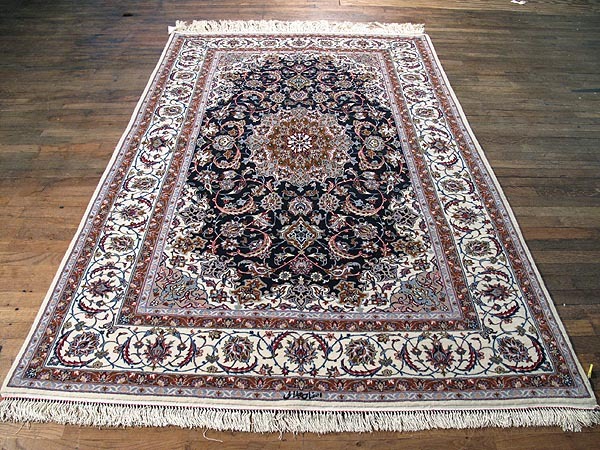 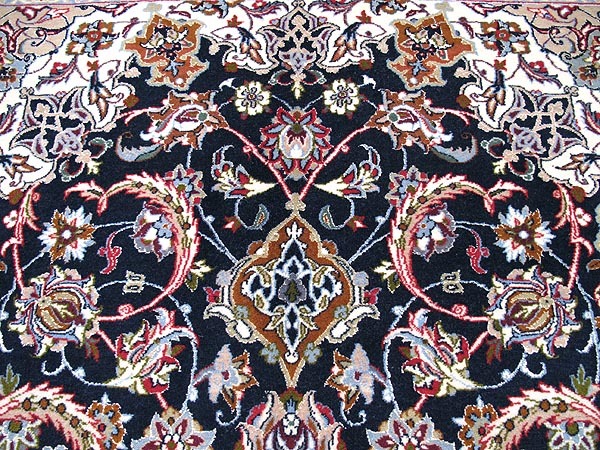 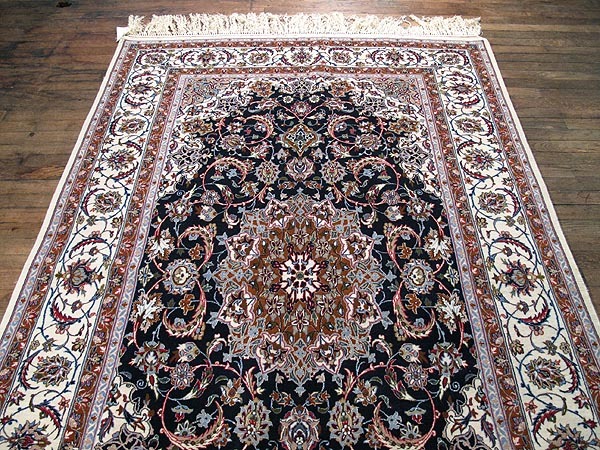 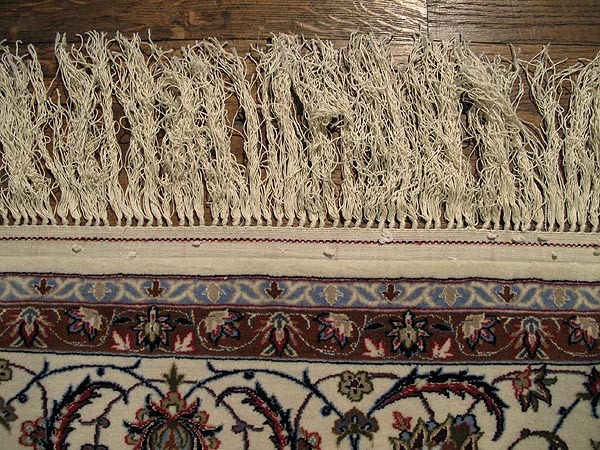 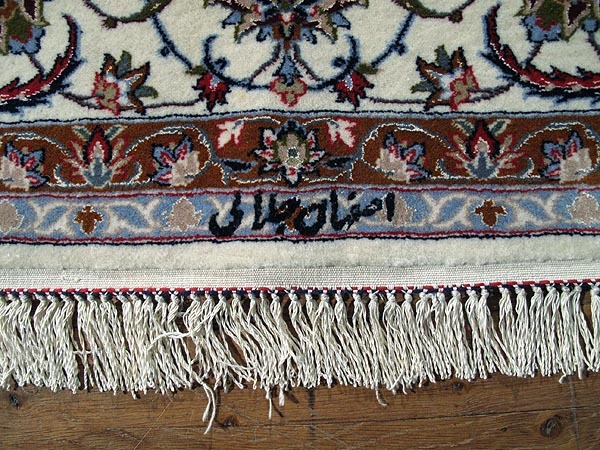 The decorations outlines are accurately designed throughout the Persian rug's wool pile. 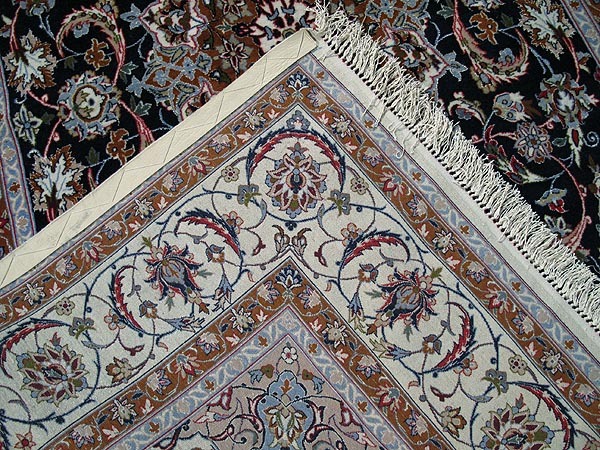 The silk foundation on which a 550 knots per square inch density was applied provide higher quality levels."